Your ultimate weapon to fight against head lice and their nits (eggs) is an effective lice removal comb. O.C.’s Hair Police strongly recommends the lice removal comb known throughout the industry as the TERMINATOR COMB™ for this purpose. Our lice removal comb has anti-slip bands to ensure better gripping and control. The micro-grooved teeth of this lice removal comb have microscopic edges positioned along the teeth in a tight spiral form. These teeth allow for the removal of head lice and their nits with a thorough combing coupled with the recommended dragging action of the teeth as reflected in our instructions when referencing the use of a lice removal comb. The TERMINATOR COMB™’s revolutionary stainless steel component is unbreakable allowing for use by the entire family as a “Household” lice removal comb! Harvard-affiliated Boston Children’s Hospital pediatrician, Dr. Claire McCarthy, on the topic of head lice infestation states, “Combing works. 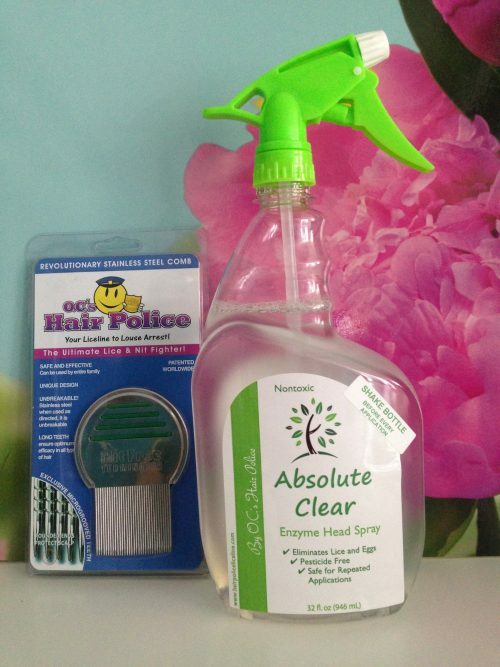 It takes patience and perseverance, but not only does it get rid of both live lice and eggs, it’s completely nontoxic and without side effects.” Studies outside of Dr. McCarthy’s real time experiences support her claim with data indicating that lice removed by combing with a lice removal comb and consistent general brushing are damaged and rarely survive!